Since launching his bid for president, Rubio has repeatedly make snarky comments about the value of a philosophy degree. In speeches in March and again in August, he scoffed at the idea that any student would choose to go into debt to obtain a philosophy degree, insinuating that such a degree won’t help a graduate earn enough to pay back that debt. So this is one of those phony conservative populist themes whereby any public investment that doesn’t go towards blowing up people in other countries or facilitating corporate transactions is likely a frivolous subsidy for pointy-headed secular progressives and their underclass clients. It’s very handy if, like Marco Rubio, you’re pushing a tax plan that exempts investment income from federal taxation entirely. According to the Bureau of Labor Statistics, the median annual salary of a welder is just over $37,420 a year…. [P]hilosophy majors do considerably better than that. This isn’t to say there’s no strong case for vocational education. But it makes perfect sense for people who are interested in philosophy and can do the work to study it. Obviously there are not a huge number of people employed as full-time professional philosophers, but the basic skills you learn studying philosophy — reading, writing, and arguing clearly — are broadly useful in a wide range of fields. I got a rueful laugh out of the “full-time professional philosopher” line, having abandoned any idea of majoring in that field after being publicly mocked by a college recruiter who asked a group of us high school students about our academic plans at one of those College Night events. 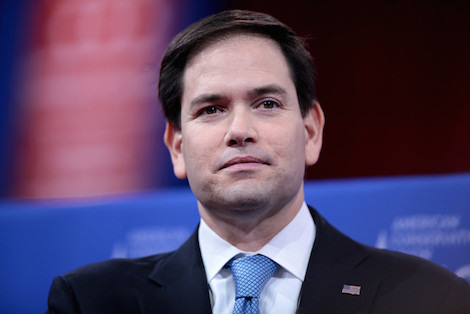 “I guess there are some companies who have a staff philosopher,” said the recruiter with a sneer matching Rubio’s. “But if you want to eat you might consider a different major.” I did (though it was the equally impractical interdisciplinary humanities major we called the “pre-unemployment curriculum”), along with giving the recruiter’s school a wide berth. But here’s the thing: Rubio (or my recruiter, for that matter) could have made the exact same point using religious studies or theology as an example of a pointy-headed field of study we should not be subsidizing. Church gigs on average pay even more poorly than philosophy, I’m pretty sure, and why should taxpayers be encouraging private religious training? Don’t believe you’ll hear that from any Republican presidential candidate.